The Patriots released Billingsley from their practice squad Wednesday. Analysis: Billingsley spent the preseason with the Lions, but was unable to secure a spot on the 53-man roster. The second-year wideout spent the last year on New England's practice squad before ultimately being released. Billingsley appeared in two games with the Lions' last year and did not accrue any statistics. Billingsley has signed to the Patriots' practice squad, NESN reports. Analysis: The second-year wideout was unable to secure a 53-man roster spot with the Lions after appearing in two games with the team last season, but he's found a home with the Patriots on the practice squad. 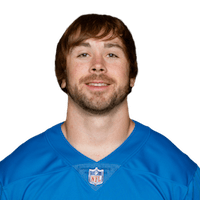 Billingsley has been waived by the Lions. Analysis: Billingsley turned heads in practice each of the last two offseasons with the Lions but was ultimately outshone by fellow receiver Brandon Powell this summer. Billingsley is again a candidate to spend time on the practice squad. Billingsley caught all three of his targets for 21 yards during Thursday's preseason finale against the Browns. Analysis: Billingsley didn't do much, but he at least showed to be healthy after missing last week's preseason game with an undisclosed injury. Firmly on the roster bubble in Detroit, only time will tell if the Lions keep Billingsley around for Week 1. 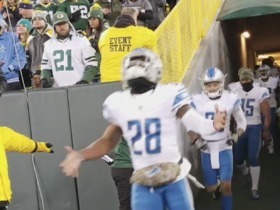 Billingsley did not practice on Monday due to an undisclosed injury, Kyle Meinke of MLive.com reports. Analysis: The scope of Billingsley's injury has yet to be revealed. Coming into camp, it was widely thought that Billingsley would need to prove his ability on special teams to make the roster. While there's a fair share of uncertainty regarding his status moving forward, any missed time doesn't bode well for the 25-year-old trying to make a name for himself. Billingsley received snaps with the first-team offense during spring workouts, Kyle Meinke of MLive.com reports.